The Back Pack’s current show, Wear and Tear, like all of their works, is a fast-paced, energetic, and dialogue-free show that gives the impression of spontaneity even though it’s meticulously planned out. “Down to the second,” adds Katie Kohler, also a founding member of the troupe. The members of The Back Pack have created a new type of physical performance – Kohler says “when I’m selling the show to people, I’m like, ‘I promise you’ve never seen anything like it,’” – but it draws inspiration from many earlier physical comedians. “It takes a lot of inspiration from older media types. A lot of people will describe it [as] similar to the feel of an old cartoon. Just because it has that whimsy and… it could go anywhere at any moment, [with] no explanation as to why,” says Betcher. “But it’s got some of the cleverness of Looney Tunes,” Kohler adds. 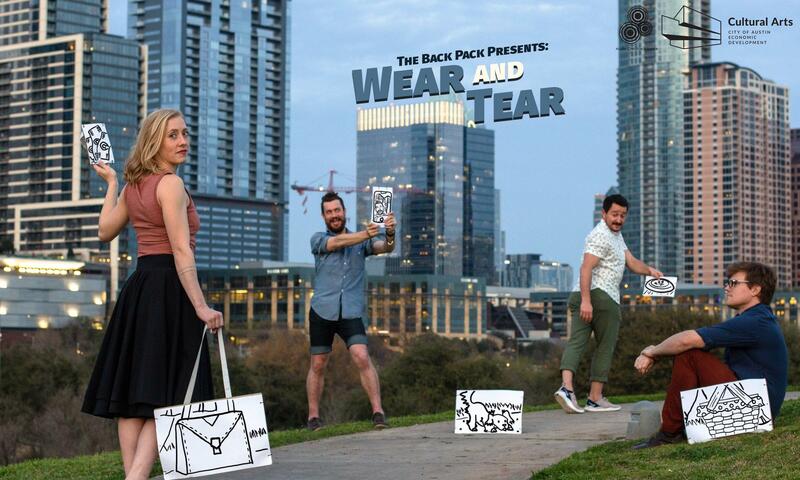 The Back Pack's 'Wear and Tear' is onstage at Zach Theater's Whisenhunt Stage through April 20.